Duct Tape Really DOES Fix Everything! A week or so before Christmas, there was a family sitting on a corner in our neighborhood. They were holding posters covered in pictures of their dog that had run away a day or so before. They were on that corner most of the day, even into the twilight hours, and they flagged over anyone who looked half interested in helping them keep an eye out for her. The next day, these little signs, smaller versions of the posters, showed up on trees and telephone poles around that same intersection and up and down the other nearby streets. Each one had at least four color photos and was in a sheet protector to keep it clean and dry. There are quite a few folks in our area who have dogs of their own and make use of the tree-lined sidewalks both morning and afternoon canine constitutionals, naturally keeping their eyes (and noses) on the lookout for the MIA hound. I’d also like to think that more than one Twilight Bark was sent out to aid in the search, but as I’m human, I’m not privy to that dependable line of communication. Anyone who has had a pet run away can tell you it is a gut wrenching experience. Traffic, other animals, cruel humans, and the elements—any of those things can harm a critter used to “three hots and cot” in a home where they’re loved and cared for. Sometimes, a kind person finds them and brings them home; other times, they wander back into the yard of their own accord. However, more often than not, the four-legged members of our families don’t make it back. In fact, according to the American Humane Society, over ten million pets are reported missing every year, and only 17% of lost dogs and 2% of lost cats are ever returned to their owners. 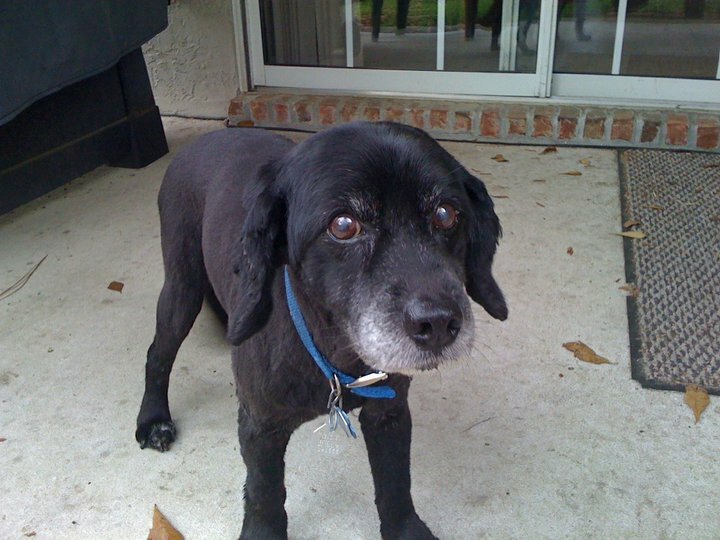 Our dog, Shadow, who passed away in 2010, was an old fella by the time the pet microchip came out. His digging under the fence and chasing squirrel days were long behind him. However, I couldn’t imagine owning a dog today without having this device, especially in a large city where thousands of animals go unclaimed and are put down. There are quite a few companies who sell the chips for less than $100, and they can be implanted by your veterinarian. After that, they need to be registered in state and national databases so your buddy can be returned to you, and that registration needs to be updated every time you move. It really requires little to no effort, and it more than doubles the chances of finding your lost pet. 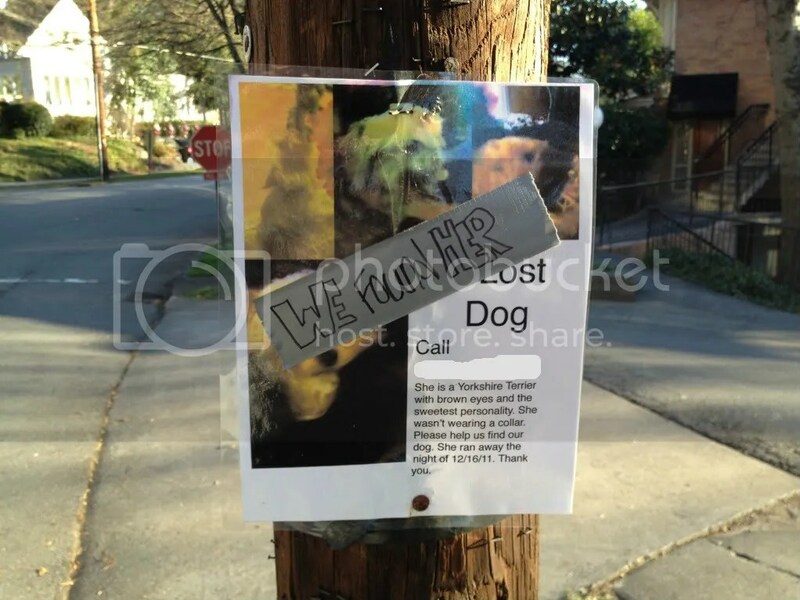 I don’t know about you, but the sight of those handmade “Lost Dog/Cat” posters always breaks my heart because I remember what it was like to wait for a cat that never came home. (Shadow also vanished a time or two, but he was never gone for more than a few hours. Still, that was not much fun for little Harpo if you know what I’m saying.) What makes it worse for me is when those posters continue to hang, week after week, until they’re so soaked with rain they disintegrate and fall from their tacks or shrivel up like a mummy and fade in the blistering heat. Eventually, they all disappear, and I never know the outcome of the story. I try to imagine the positive in all cases, but I know that statistics don’t lie. The courtesy of this gesture touched me deeply. Not only was I happy beyond measure that that dog was home with its family, but I was also grateful that a group of people cared enough to update the status of their situation in a simple but obvious way. As far as I’m concerned, that sign can stay up forever. It reminds me that happy endings are possible and that kindness both exists and is rewarded. Love this. And LOVE the Twilight Bark. I did not even need a youtube reminder, because oh my goodness: the Twilight BARK! So glad you liked it! 🙂 That was one of my favorite scenes because it made me believe that dogs were actually talking. I always liked it when dogs barked because of that movie. I loved this post! Hooray for found pups. Love your pic of shadow too! I didn’t expect the content of this post when I saw the title. The opening picture was great and I love the message. I’ve rescued all my pets and have lost a few, too (never to be found). I know both sides of that coin. Lorna, that’s high praise coming from you! 🙂 Thanks for always being such a consistent and supportive reader. Trust me when I say it does not go unnoticed. Just something else to think about on this topic. Keep up the great post, I stopped by after visiting literarydormouse’s page to vew the Versatile Blogger award. I think I remember that story (or one similar to it) about an Iraq war vet’s dog that was put to sleep just a day or two after being lost. It survived being in a war zone but not in a pound. That story broke my heart. Sadly, you are right. Human error can always trounce a microchip, and no kind of technology can replace a good owner’s diligence. Cover all those bases, pet parents! Thanks for coming by, reading, and taking the time to comment. I surely do appreciate it. When I saw that on the news I got teary eyed, I’m not going to lie. I grew up with two dogs, four cats and about 7 other animals in the house (yeah, all at the same time… it was the gioia zoo). I can still remember when we took our two new kittens to the vet and the doctor told us about the micro chip that could be implanted. I remember being told how if they ran away or anything happened and they ended up at the pound or a vet they could be scanned and return home to us; maybe it was in the paperwork my parents had to sign, but I do not recall that doctor telling us the chip needed to be updated to make sure they would return home or how to update it. Again it is great you brought this to the attention of your readers, even just one updated chip or saved pet because of this is worth it. Indeed it is. Goggies and kittehs make the world a better place overall.